Home Inspector Websites, SEO, Social Media, and More! Marketing created specifically for home inspectors – and by home inspectors. 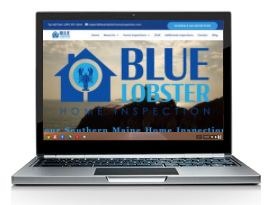 We are a Digital Marketing Firm Specializing in Home Inspectors and Working in Home Inspection Websites, SEO, Social Media, email marketing, and more! See What Other Inspectors Have to Say! Learn what successful home inspectors are doing to start and expand their business. Download our free e-book and learn the marketing secrets you need to know. Why try to “keep up” with your competition? Make them keep up with you! A strong online presence, Social Media Promotion, Video Promotion, and other online marketing campaigns can put you ahead of the other home inspectors in your area. We know the business and have helped inspectors just like you across the US and Canada. Just getting started? Then this is the plan for you. Build your online presence on a solid foundation with The Beginner plan. Have some experience? Want to go ahead and push into blogging and social media? Then this plan is for you. The Master Marketer has been our flagship plan for many years. Push your way to the top with more aggressive SEO. Want to dominate your local market? Want to capture more leads and grow into other markets? Then try The Local Guru. We have helped home inspectors all across the U.S. and Canada solidify their online presence. We are an InterNACHI approved vendor and we have a reputation that we are proud of in the home inspection community. You can find us on the InterNACHI forum, and you can also see how many other home inspectors love working with us! One of the foundations of our company is our websites. We build your social media campaign around your website and your brand. Below are just some of our home inspector websites that we have created for home inspectors just like you across the US and Canada. You are an expert at what you do, so let us help you get the word out! What is the keyword density of my website? How does a contact page increase my SEO? How do videos and audios increase your business? What is my website’s rank on Google? If you are like most home inspectors, these questions seem daunting. And that is absolutely normal. But that is why we are here! I have started, operated, and marketed three successful home inspection companies that I still run to this day. We know the ins-and-outs of the home inspection business, how to elevate your company and get you the internet exposure you need. Contact us and we can help you get on the right track and create a powerful marketing strategy! Want to take a stab at it yourself? Take a look at our blog articles: Home Inspection Websites and Online Marketing for Home Inspectors. Love your work by the way. Not sure if I told you or not. But we are already competing with the top guys around here causing quite a stir. I actually have realtors telling my clients I am too thorough because they are so used to these inspectors bending over backwards for them and I refuse to do it, 3 years now and not 1 realtor will come back to me even though I give them a fully satisfied client every time, i am inundated with realtor muck here. If that goes to show you what I am dealing with here. And I could not do it without the amazing website bringing in plenty of business to me making me not rely on referrals from them. I do not even have to solicit any of them and I love it. Thank you. With years of experience, a successful track record, and a long list of happy clients, why choose anyone else?